Every year ICAN puts on their Women’s Leadership conference! It’s full of amazing speakers, breakout sessions and opportunities to network with other women. 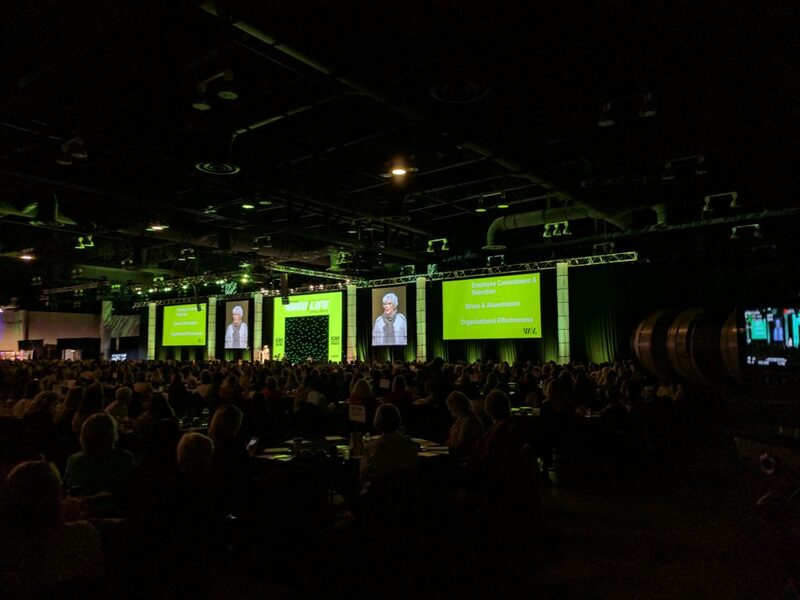 This year ICAN‘s conference brought together 2,570 attendees from 278 companies and 21 US states. The eleven speakers included well-known Deborah Roberts. This year’s event was focused around the Work Life Balance that women in the workplace face. The many speakers shared their thoughts and findings around the topic and attendees shared their experience and some laughs along the way. We captured the daylong event, weaving through hundreds of tables in the main event space and running in and out of the many breakout sessions that were packed to the brim. This year’s Leadership Award Recipient went to Tim Burke, the president and CEO of OPPD. Checkout the event sizzle reel below.